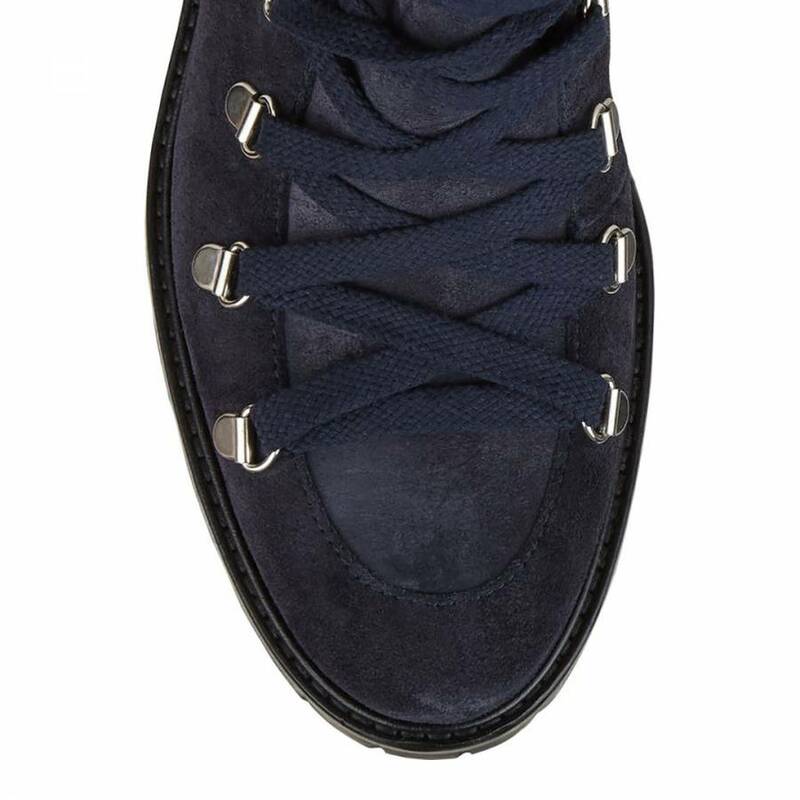 The navy Phoebe boots a sleek and stylish design featuring a lace up detailing. 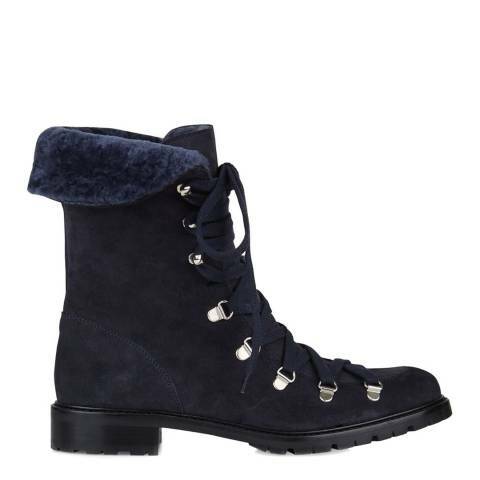 These boots are lined with snug shearling for extra warmth and optimal comfort. 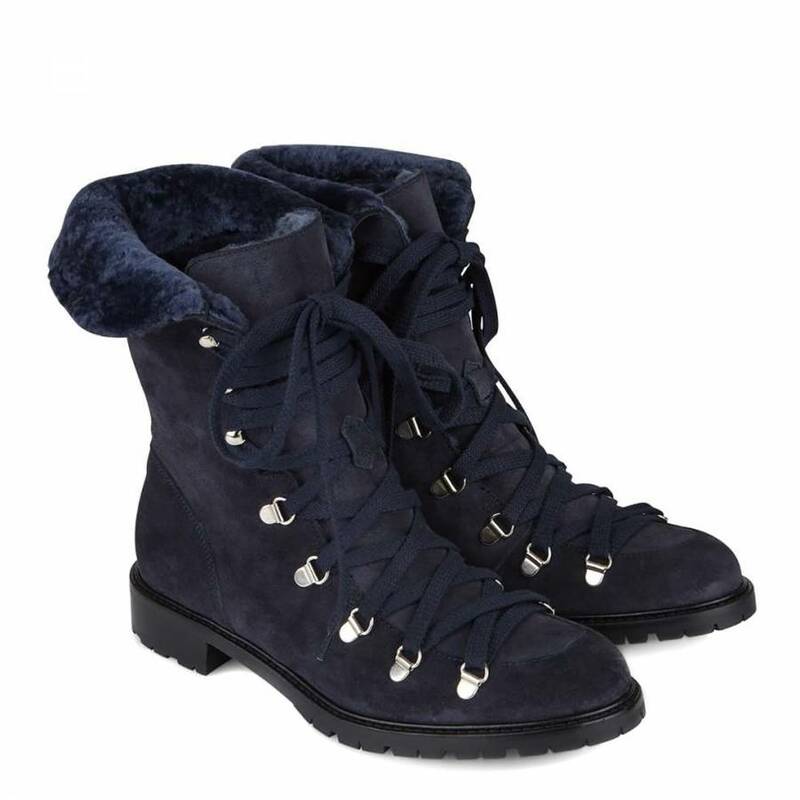 Featuring silver-toned hardware eyelets adding a subtle note of luxury to these boots.